Juicy Details Bubblegum Suds is a brightly coloured, and Bubblegum scented shampoo that will cut through any dirt with ease. Juicy Details Bubblegum Suds is a brightly coloured, and Bubblegum scented shampoo that will cut through any dirt with ease. 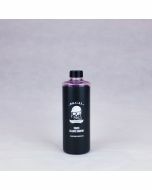 Juicy Details Shampoo when diluting only 2 capfuls per 20 litre bucket. Juicy Details Shampoo will cut through dirt and grime with ease. Despite this it will not strip existing layers of wax. 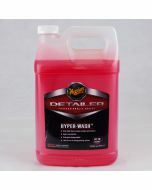 Special lubricants give a smooth feel as you wipe exterior surfaces clean, while the long lasting suds help lift dirt and grime particles safely away. 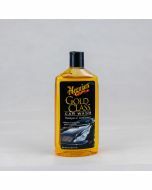 In addition to performing well, this shampoo also works out to be very economical thanks to its generous dilution ratio. 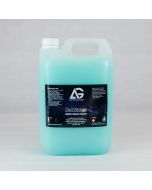 Pre Rinse or snowfoam to loosen any dirt and grit. Add approx a 2 capfuls to bucket of clean water and scratch guard. 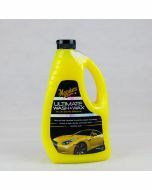 Thoroughly soak wash mitt or sponge bucket and then apply to your cars surface while still wet using you wash mitt or soft sponge to thoroughly clean. Finally rinse off using hose or pressure washer.